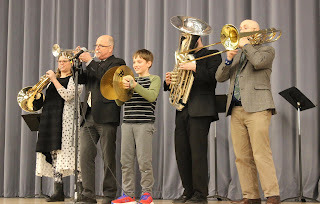 The New England Brass Ensemble came to perform and entertain all students and staff Wednesday at Beverly Middle School. They were fabulous! 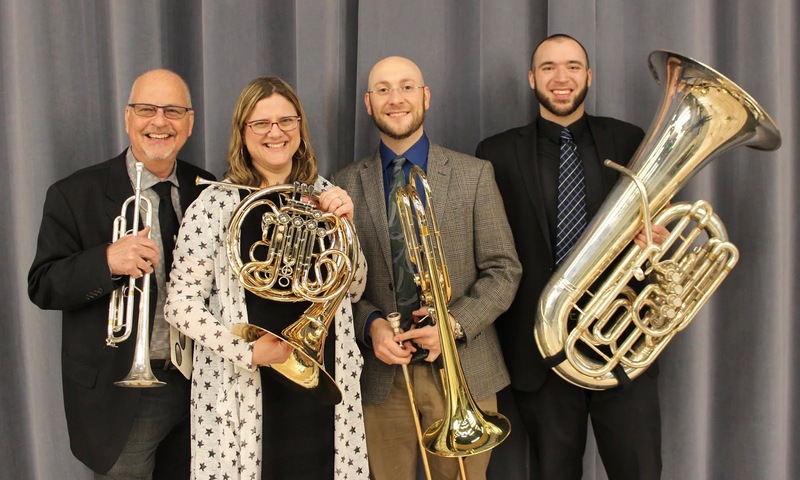 They shared a brass instrument education with amazing performances which included very recognizable John Williams songs from movies like Star Wars and Harry Potter, to name a few. A couple of embarrassed teachers may have been serenaded by the amazing trumpet player. 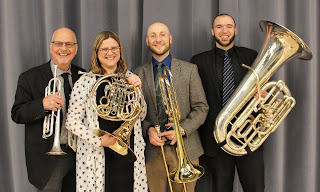 The audience was laughing and clapping and truly enjoyed this experience. Many thanks to all of our BMS families, who fundraise to help the PTO bring great programs like this to our school. So...start selling those BIG BUCK$ Calendars!! !